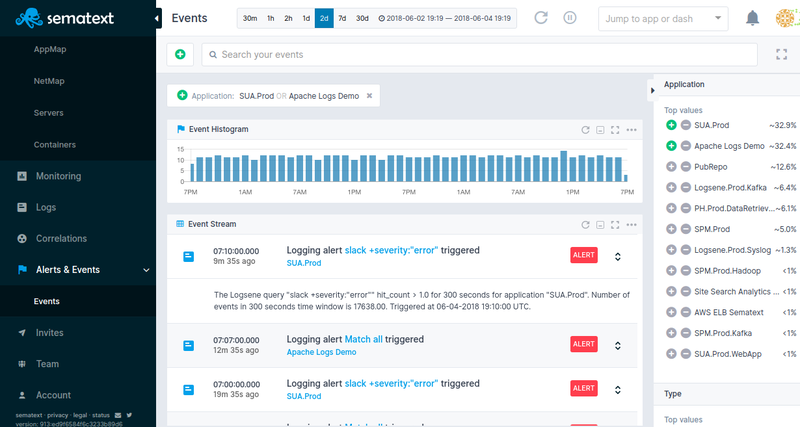 Real User Monitoring, Logs, Metrics and Tracing: Finally together! 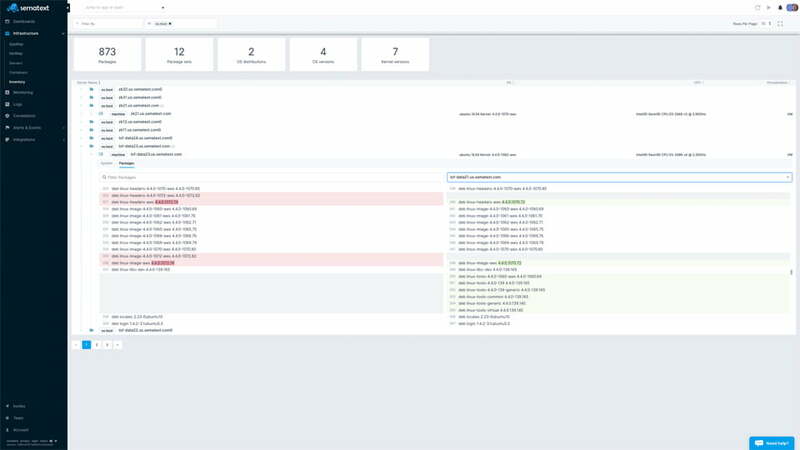 Numerous integrations let you collect metrics and events across your whole stack. 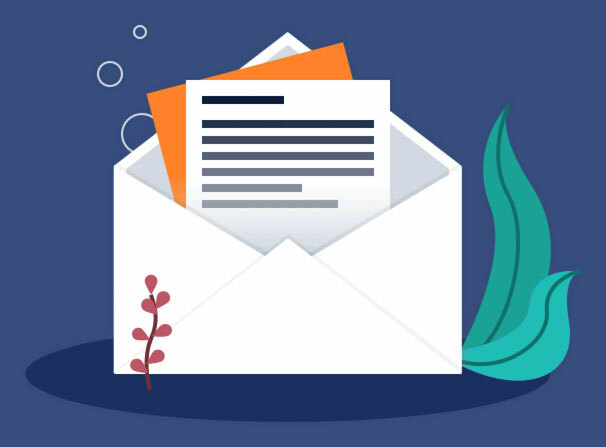 Get a complete overview of your MySQL or MariaDB health whether you are running databases on your own infrastructure or using Amazon RDS. Monitor & improve JVM performance for Java Applications. You can alert on metrics, as well as logs. It’s simple: run a query, save it as an alert query, optionally select additional notification hooks like Slack, PagerDuty, etc. Capture all package installation, update, and removal events details - which package, which user, which machine, etc. Metrics are not enough! 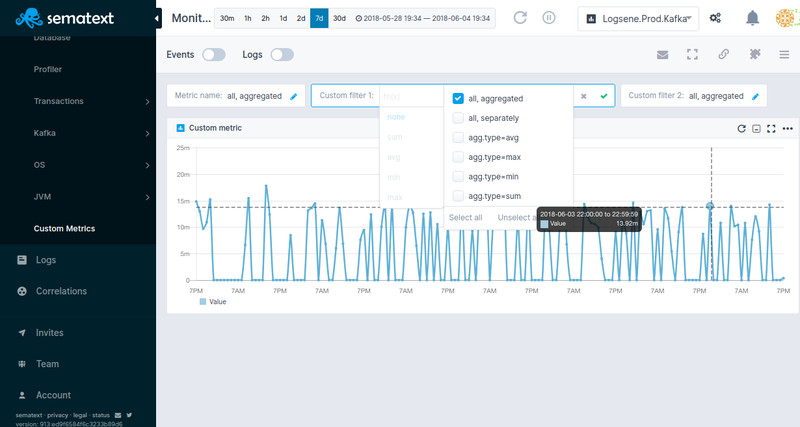 Sematext correlates metrics with application and server logs, events, alerts, anomalies, and more. Sematext is built by DevOps for DevOps. Custom Metrics? APIs? We’ve got ’em! 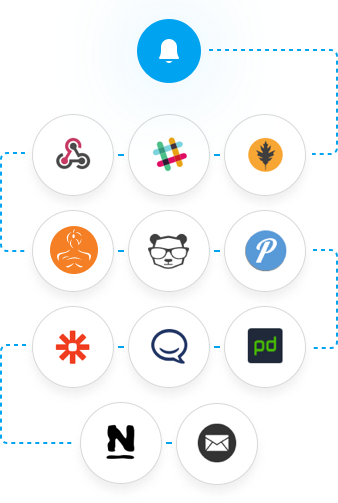 New users get a 30-days free trial for each new monitoring integration (existing customers get 2 days free trial for each additional App). At the end of the trial, the App is automatically switched to the Basic (free) plan, unless you picked a paid plan. If you pick a paid plan before the trial period ends we will honor the full trial period. There are no contracts and no commitments. You can cancel any time. Price is metered and based on the running time for the app/server being monitored. Note: Docker monitoring is based on the base price and per-container price. 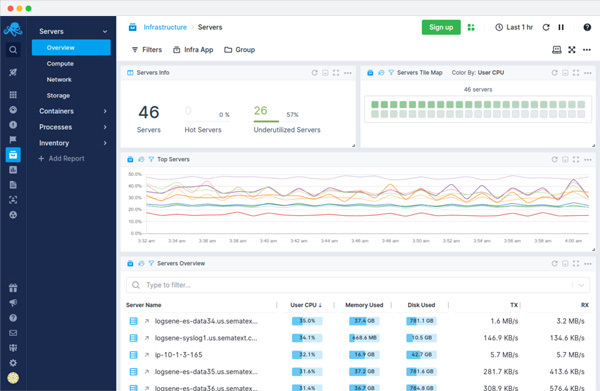 The base price includes monitoring of a Docker host and free monitoring of up to N containers. Per-container price is applied only if you run more than N containers per host. The number of containers per host is averaged for the whole account. The base price and the number of containers included in it depends on the plan. We charge at the end of the month. For longer term and large contracts please get in touch. Yes. Each Monitored App is independent and each App can have a different plan. Each user account can have any number of Apps. Moreover, each App can use a different payment method (e.g. a different credit card). Can I run Sematext On-Premise or in my Cloud? Yes. Everything you see in the Cloud version of Sematext is available in Sematext Enterprise, too. How many servers or containers can I monitor? You don’t have to, though you can. Sematext gives you instant gratification. Sematext knows what type of application you are monitoring and provides you with a number of charts out of the box, neatly grouped into multiple reports and filterable by tags appropriate for each collected metric. Sematext starts providing value as soon as you install the Sematext agent. 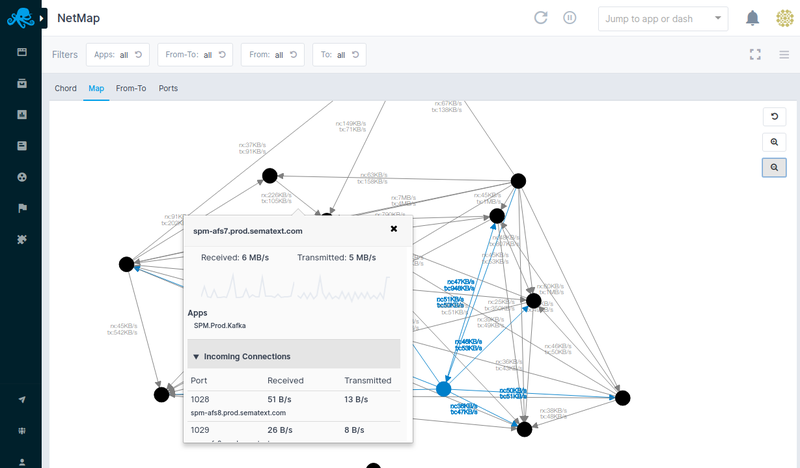 How does Sematext compare to New Relic? Datadog? AppDynamics? Prometheus? Grafana? The crucial difference to understand is the cost. In Sematext each App can have its own plan, and plans can be different, including free. This can dramatically lower your monitoring costs! 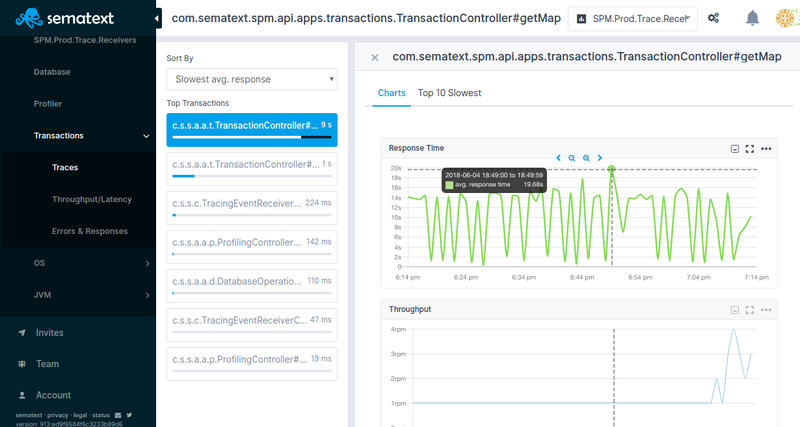 Sematext Monitoring is 4-5 times cheaper than New Relic APM. For more information see Sematext vs. New Relic APM. Sematext gives you deeper out of the box metric collection and charting, while Datadog requires you to figure out which metrics to collect, how to chart them, build charts and dashboards from scratch, etc. AppDynamics is rich, but very expensive and focused primarily on large enterprises and on-premise deployments. Both Prometheus and Grafana are DIY solutions that require you to provision your own infrastructure, invest time and money into maintenance of both software and hardware.